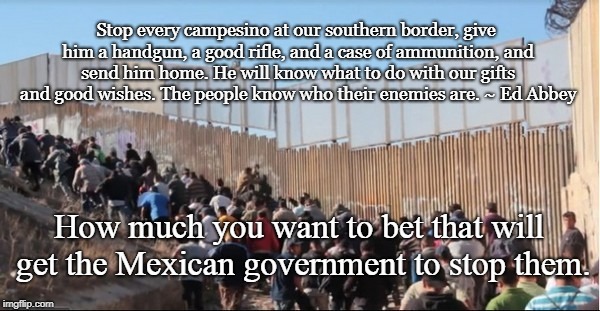 Stop every campesino at our southern border, give him a handgun, a good rifle, and a case of ammunition, and send him home. He will know what to do with our gifts and good wishes. The people know who their enemies are. ~ Ed Abbey; How much you want to bet that will get the Mexican government to stop them.